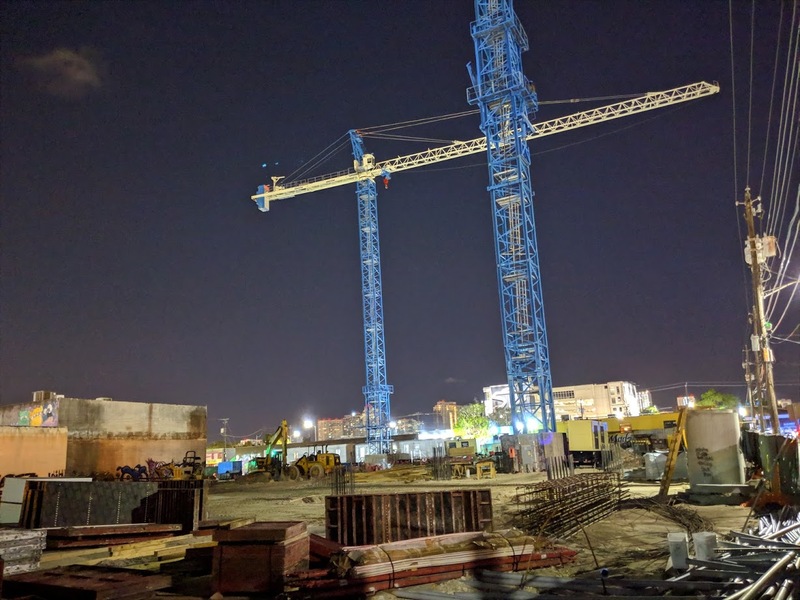 Vertical construction is beginning at the 545Wyn site in Wynwood, where two tower cranes have now been installed. 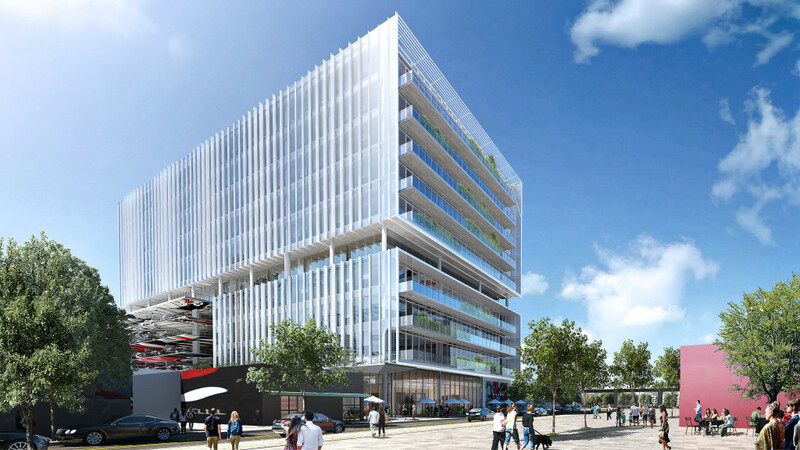 The 10-story project is being billed as the first Class A office building in Wynwood. Deliver is expected in mid-2020. 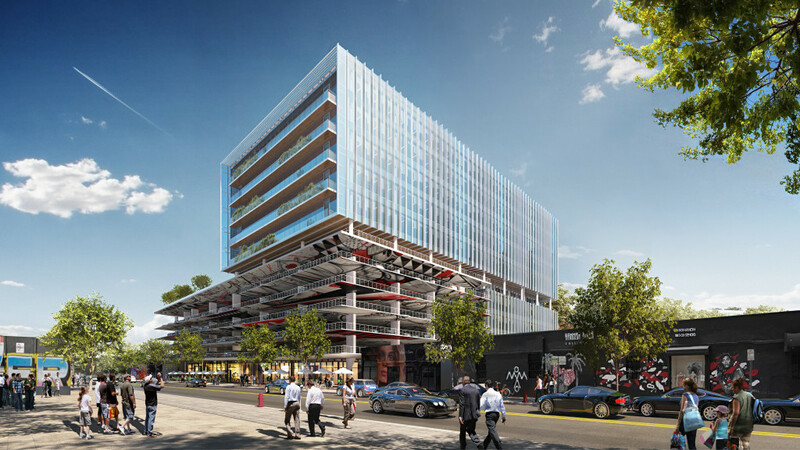 Gensler is the architect. Sterling Bay of Chicago is the developer. Built in the same area where Mana has alot of his properties but he claims he can’t build right now. There’s the office space everyone’s been asking for. 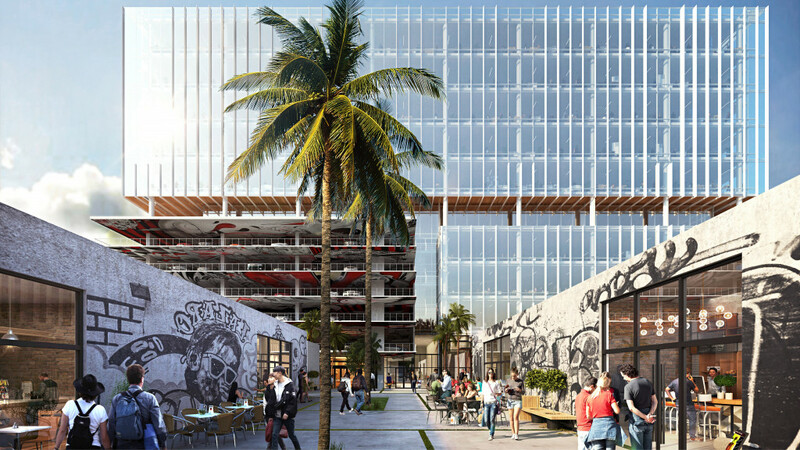 If there’s an area that would be attractive for tech companies, it’s Wynwood. Bring on the Class A office!! Dunno about companies but I’ll tell you what’s attractive to talented tech workers… not schlepping out to a corporate office park in Doral, Miramar or Sunrise every day, that’s what! I’d want to go to either Wynwood or South Beach. Somewhere that’s urban but less height and less corporate. 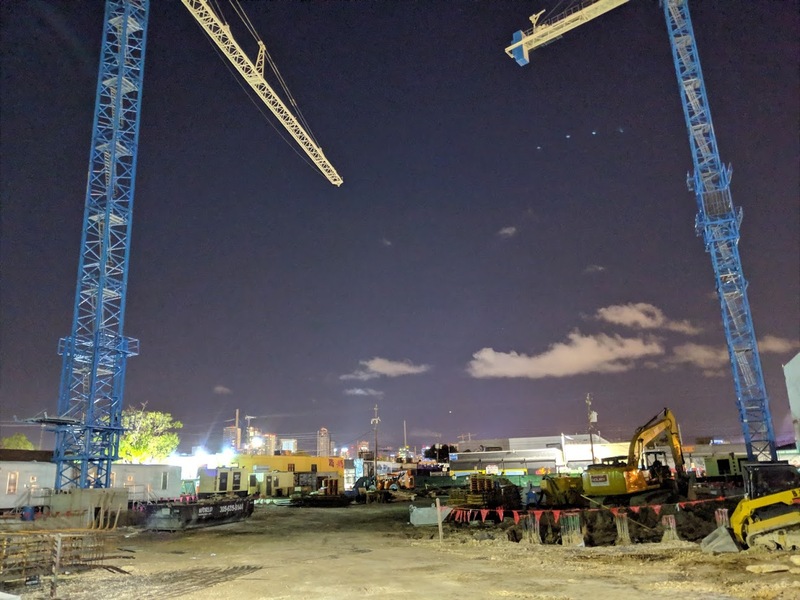 Wynwood is just getting started. 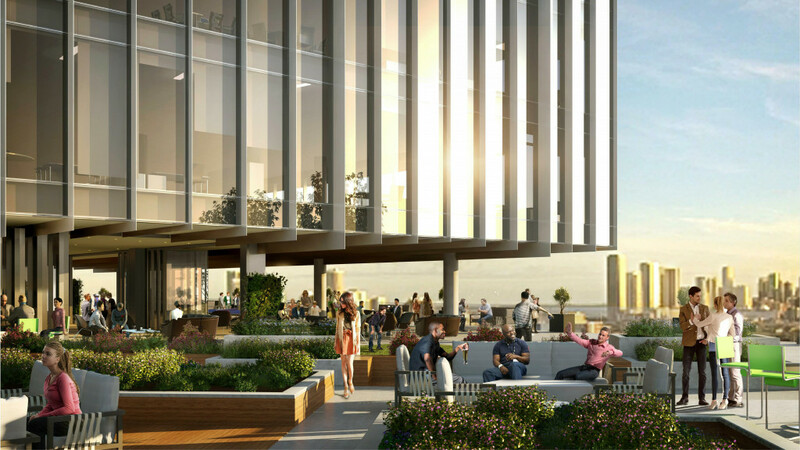 Any major tenants signed up? 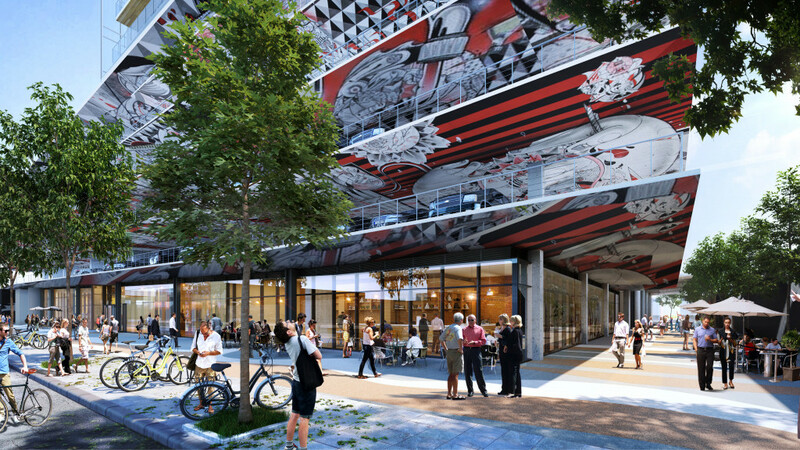 wynwood will one day be a neighborhood of suits and suit related businesses. Will be a playground of yuppies in tan shorts, slip on loafers, and pastel polos. Mark my word. Most likely the people who thumbs down this comment are the type of yuppies i speak of. They are everywhere on this site. 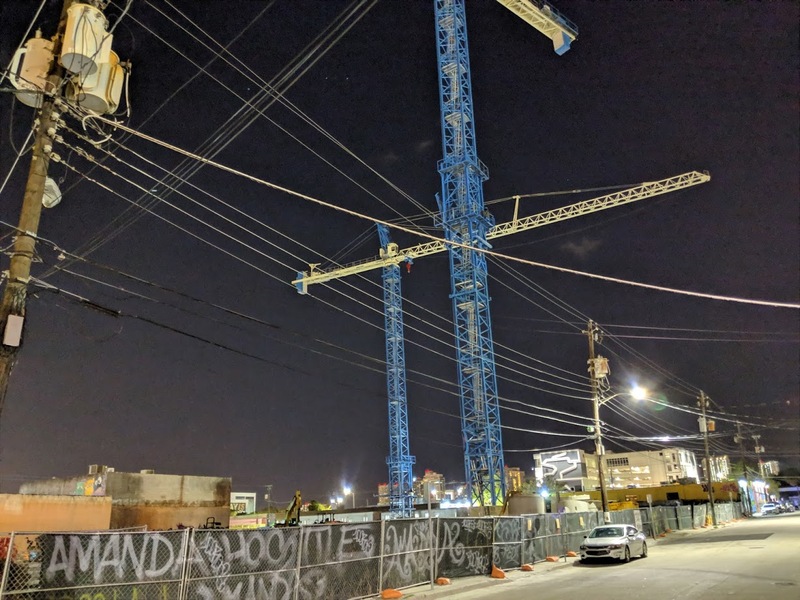 What is wrong with net tax payers making up the majority of wynwood. Those “suits” will also know when to use capital letters.